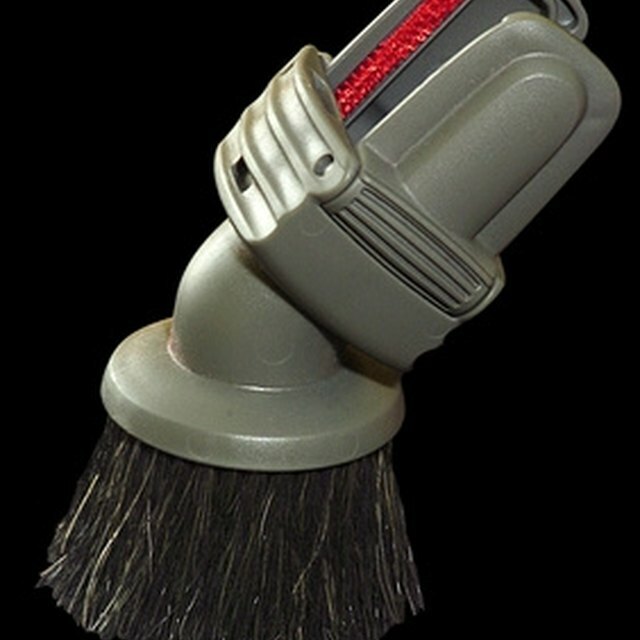 Vacuum cleaners have many parts that should be replaced as needed, among them bags, belts and headlights. Replacing a drive belt in your Hoover Elite vacuum is a fairly intuitive and straightforward process. If you have a medium-size Phillips screwdriver and a replacement belt, you're already halfway there. Verify that the vacuum cleaner is powered off and that the power cord has been disconnected from the wall. Lay the vacuum cleaner down so that the bottom of the vacuum is facing up. Identify the five screws that anchor the bottom plate in place, and remove them using a Phillips screwdriver. Remove the bottom plate. Pull the agitator roller from its housing and pull it free from the old belt, if it is still intact. Throw away the old belt. Install the new belt around the motor pulley. Make sure that the belt is positioned so that the writing on the belt is on the outside. Place the agitator roller through the belt and adjust the position of the roller so that the belt lies on the belt guide. Secure the agitator roller back into the housing. Place the end of the roller opposite the belt into the rectangular slot, then stretch the belt to allow you to place the other end of the roller into place. Rotate the agitator roller to ensure that the belt moves smoothly. Reinstall the bottom plate and secure it in place with the five Phillips-head screws.